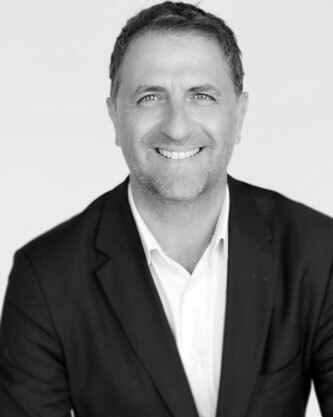 Didier Hans co-founded Med-Imaps SA in 2006 and became CEO of Medimaps Group in 2012. He currently drives the company’s global strategy, orientation and business objectives, and oversees its Quality Management framework and policies, among many other key tasks. Based in Switzerland, Didier Hans is also Head of Research and Development in the Bone and Joint Department at the Centre for Bone Diseases at Lausanne University Hospital. He held similar positions in the United States – as Head of the Quantitative Ultrasound (QUS) Research Unit and Associate Scientific Director in the Osteoporosis and Arthritis Research Group (OARG) at the University of California San Francisco (UCSF) –; and in France as Head of the DXA/QUS Research Unit at Lyon University Hospital. He has extensive experience (25+ years) in dual-energy X-ray absorptiometry (DXA), bone macro- and microarchitecture, ultrasound imaging techniques as well as body composition assessment. He teaches courses around the world on bone and body composition imaging as well as on osteoporosis. He has authored 270+ articles, received several awards including the 2019 ISCD Researcher of the Year Award and serves on the editorial board of several international scientific journals. He is a Member of the International Osteoporosis Foundation (IOF)’s Committee of Scientific Advisors and Past President of the International Society for Clinical Densitometry (ISCD). He also co-founded two companies: Synarc, Inc. (US) and Ascendys Sàrl (Switzerland), both of which were successfully sold. He holds a PhD in Medical Physics and an Executive MBA from HEC Geneva. Medimaps Group is ISO 13485 certified. TBS iNsight™ (Osteo) is a Medical Device that is CE marked, has received FDA 510(k) clearance, and has been approved for sale in more than 60 countries.